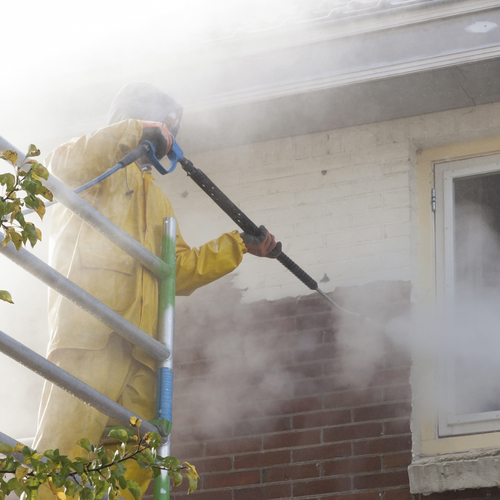 Why not clean your home’s exterior? What Makes Us Better Than Every Other Power Washer in Alexandria? 100% Customer Satisfaction – It is rare to find any good quality services that offer 100% Customer Satisfaction, but we do! 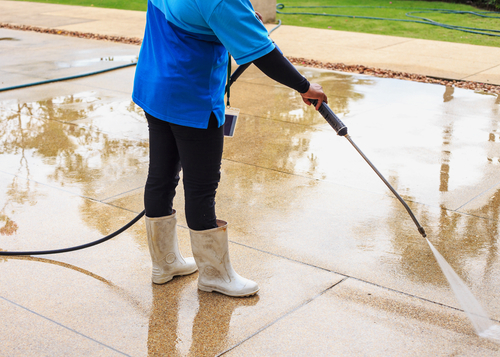 We have more than 15 years of experience in the power and pressure washing business. Experience – Not only do we love what we do, but we’ve fine tuned the skills needed to complete every job. It is always a good idea to know what you are doing before starting a business, but the knowledge that comes from experience is gold. With so many years of experience, we know the right tools to remove the toughest stains from every surface it is safe enough to remove from. From walkways to siding to roofing – we won’t disappoint in what we can get clean. Simple, Customized Service – Our high level of training, experience and reliability make us experts in the field. But don’t worry, we will explain what we are doing before we do it. We are also happy to answer any questions you may have. We recognize that every home and building is different, and we can quickly assess what’s needed. We will only use the right water pressures and effective cleaning agents that are necessary for your property, keeping your cost to a minimum. Honest, Competitive Pricing – Do you hate it when companies try to up-sell you on their services and products? So do we! We will never try to sneak something in to raise your cost. Depending on your property we may offer helpful suggestions, but we will never insist on doing more than you are wanting. At Alexandria Brothers Power Washing, we cater our services to your specific needs and recommend a customized plan that’s right for you and your budget. Because we are an established full-service exterior maintenance company, we offer a wide range of services. Reliable, efficient and high quality service, every time! We can offer 100% satisfaction guaranteed go because we go above and beyond with our service each time. Our cleaning solutions ensure that what needs to come off, will, or you do not pay. If you are hesitant to give us a try, we understand. That’s why we offer our services at no risk to you. Have something else not on the list? Just ask! We offer residential cleaning services all through Northern Virginia. Alexandria Brothers Power Washing can not only improve the curb appeal of your home, but also get the job done on time and at a price you can afford. The professional services we offer are always safe for you, your pets, and your landscaping. Our low-pressure washing for homes, windows, sidewalks, and garages are time-tested. Let our skilled team make a difference in your home’s curb appeal without damaging the curb! Count on the insured professionals at Alexandria Brothers Power Washing to help you get your business cleaned up and refreshed. Our commercial pressure washing services are designed to make a great first impression with your clients. Get noticed for clean exteriors, from sidewalks to windows, building walls, graffiti removal and more. You can’t risk losing a client due to an unclean site. Impress your customers.